Style and elegance are the two key words when it comes to horse shows and parades. The uniform comes with a sense of distinction and rigor, while the hairnets and bows bring a bit of shine and spirit to the attire. 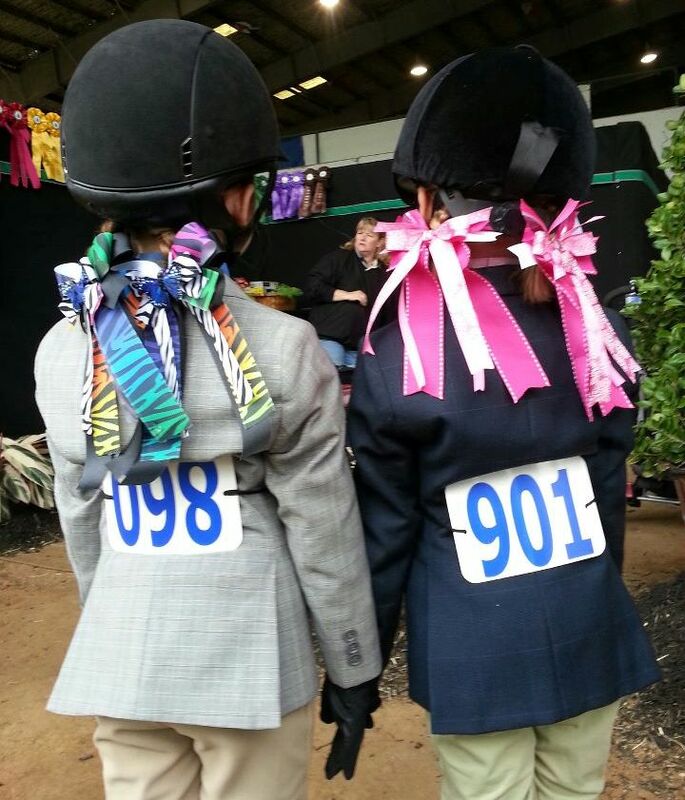 Of course, as we know, both hair bows and hair ribbons are mostly worn by girls interested in pony and horse shows. This practice starts at a very early age, for practical reasons, but that doesn’t mean they shouldn’t look pretty and complement the noble sport they accompany. Therefore, here are 5 amazing hair bows and 5 even more charming hairnet ideas for every equestrian aficionado out there. Horse shows are all about pride and elegance, nobility and class. So the first idea related to wearing the beautiful bows that accompany the sport attire is to simply keep it to the classics and wear two hair bows in toned down, cold colors, like these amazing green and deep sea ones. They have stripes, which are one of the most traditional patterns out there, but also polka dots, for a bit of fun. The beautiful shades of lime and mint green complement the deep blue little bow at the front perfectly. But classy is not the only way to go. You can also have a little fun with your hair bows while riding and what color is more fun than pink? It stands for playfulness and joy and gives a certain childish appeal to any uniform. Your little riding girl will very much appreciate this pair of pink bows, complete with horse pattern and rhinestone in the middle. Some girls are all about the fun and games and others are all about the race. Another cute idea for a unique horse riding bow is to go for the “hunting” look, like with this one of a kind red tartan bow, which also comes with an awesome fox pattern that complements the tartan and the material greatly. It’s bold, traditional, outdoorsy and reminds one very much of the forest, which makes it a perfect match for horse-back riding. Fewer things are better when it comes to style and elegance than the combination between black and white. When all else fails, when you have no more ideas or when nothing seems to please you, black and white is the oldest trick in the fashion book. Designed for a very special girl, these beautiful black and white ribbons come with a monogram as well and an intricate, almost art deco pattern. Is there anything girls love better than glitter? Maybe just pink glitter. But this time we’re not talking about the fun and games pink, but about ballerina pink. Soft, creamy, dusty and covered in glitter, this equestrian ribbon’s choice of color and pattern makes you feel precious and delicate. And the fact that it’s jazzed up doesn’t hurt one bit our girly sense of fashion. The original purpose of the equestrian hairnet was to prevent any hair loss in case the rider fell off the horse. That’s why, given the fact that its purpose was utilitarian, it was always black, and to go unnoticed under the jockey’s top hat or helmet. Should you wish to go back to basics, a simple black hair net will do, complete with a beautiful, but demure black satin and grosgrain bow. Another good idea to both style and neat up your hair is the boho chic look. This particular style is usually accomplished by wearing flowers in your hair and this is exactly what this hairnet proposes. A beautiful tangerine colored net, crowned by a lovely, flowery bow, with the same tangerine hue as its primary color. The effect of this hairnet under your black helmet will be striking and you can always pair them off with some beautiful hair clips. For those of you who want to take things a step further and are not afraid to take a cue from the queen, we have the pearl and diamond hairnet idea. Of course, yours doesn’t need to have real pearls or gems, but you can share the style and buy one that is similar. This will make for a very memorable look, as you stroll down riding your majestic horse, with pearls and diamonds in your hair. We’re back to girly pink for the hairnets as well, in order to bring some color and shine to the formal equestrian apparel. However, no matter how much we adore pink, we recommend you keep it simple when it comes to hairnets. They are quite a big and showy accessory and adding some patterns, rhinestones or sequins might overdo it. In this case, we believe more is less, as pink is quite enough on the eyes as it is. Another great example of the fact that less is, indeed, more is this simple but so beautiful black hair net. It’s very finely woven, with small loops and, instead of the classic bow that goes on top of it, this particular model only has a wide elastic band, to keep it and the hair in place. But the real treat stands on top of the elastic band and it consists of a little silver prancing horse that seems ready for the equestrian show himself. Horse show bows and hairnets are your chance of squeezing in a bit of glamour and fashion into an otherwise demure looking and traditional equestrian uniform. Don’t be afraid to push the line a bit when it comes to tradition and invite some personal style in. Also, remember it’s all about having fun, so add a personal touch to these pretty horse hair accessories.